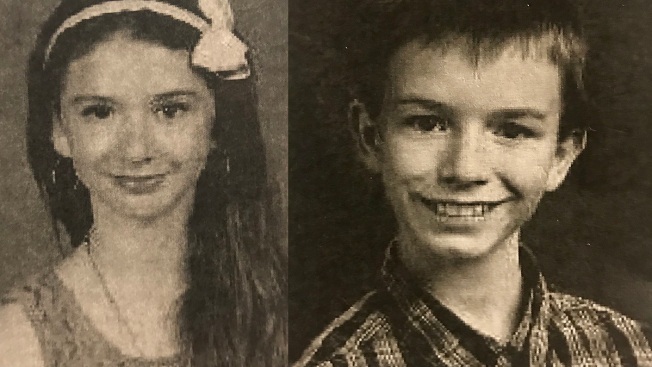 A Georgia sheriff says the bodies of two children have been found buried behind a Guyton home. Effingham County sheriff's officials tell news outlets the children's father, 49-year-old Elwyn Crocker; stepmother, 33-year-old Candice Crocker; stepgrandmother, 50-year-old Kim Wright; and Wright's boyfriend, 55-year-old Roy Anthony Prater, have been arrested on charges including child cruelty and concealing a death. He says deputies arrived at the girl's home and were told conflicting stories about how she lived elsewhere. He says deputies searched the property and found the bodies, which are believed to be Mary and her brother, 14-year-old Elwyn Crocker Jr.
Mary hasn't been seen since October, and the younger Elwyn hasn't been seen since November 2016.